This is a very similar example to our ATMEGA16 and LCD example. We simply connect our 16×2 LCD display to our Attiny2313 PORTB. 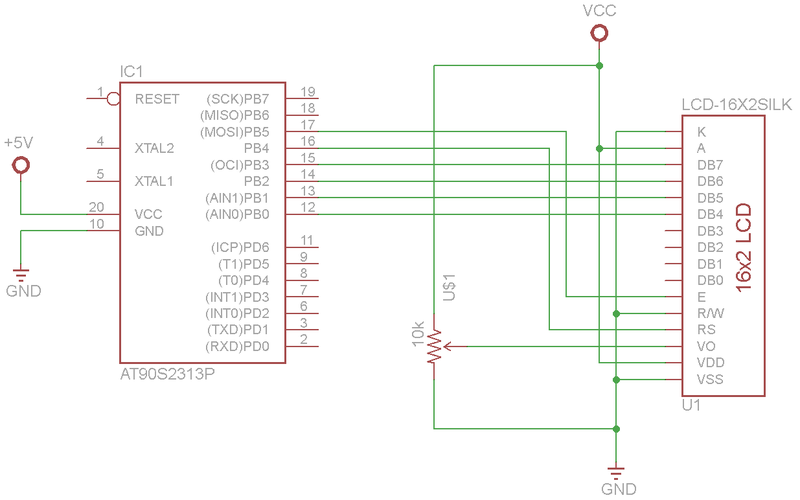 Again for simplicity the code is written in MikroC PRO for AVR.